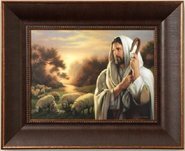 This golden painting captures a tender scene of the Good Shepherd retrieving a lamb from an environment full of treacherous cliffs and rugged mountains. 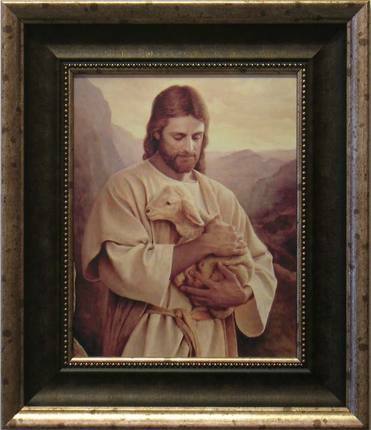 The lamb now rests safely in the strong, yet gentle hands of the Savior. Sometimes in life, we make unwise decisions and ignore the guidelines given by Heavenly Father. 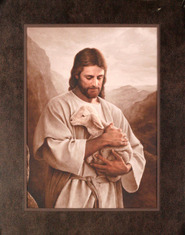 Like a lamb that has gone astray, we find ourselves lost and surrounded by unpleasant circumstances. 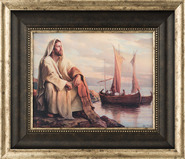 It is during these times we must turn to the Savior. The Lost Lamb expresses the importance of the individual. 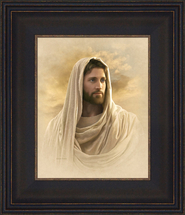 We must remember that the Savior loves and cares for each one of us. When we have faith and repent, he will search for us. 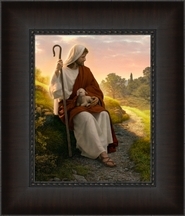 The Good Shepherd will find us and carry us back to the fold.